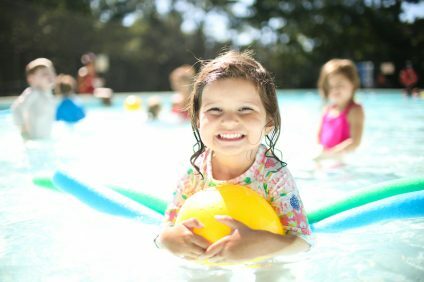 implemented an innovative and progressive Instructional Swim Program based on the American Red Cross “Learn To Swim program.” Our modifications allow our campers to progress and achievelevels in easy and manageable steps in a safe and fun environment without ever compromising quality. Swimming is a fundamental skill in life and we want to make sure that our campers get the best start and instruction possible. Building on the American Red Cross “Learn To Swim” program, our SCC Instructional Swim Program further breaks down the existing levels in order to provide a simplified system with more opportunities for our campers to experience success in the water. Each camper is placed into a swim group based on his/her performance during our individual swim evaluations conducted in the first couple of days your child attends camp. All campers are assessed by certified American Red Cross Lifeguards and Water Safety Instructors. Our staff will do their utmost to make sure that every camper is appropriately placed in a swim group consistent with his/her initial swim ability. Our system will also allow our instructors to constantly monitor and track progress allowing from group re-assignment when needed. Once in a group, all campers receive swim instruction every morning, providing the optimal environment to progress consistently at their own pace. When each camper passes one of SCC’s swim levels, he/she will receive a certificate highlighting their achievement. 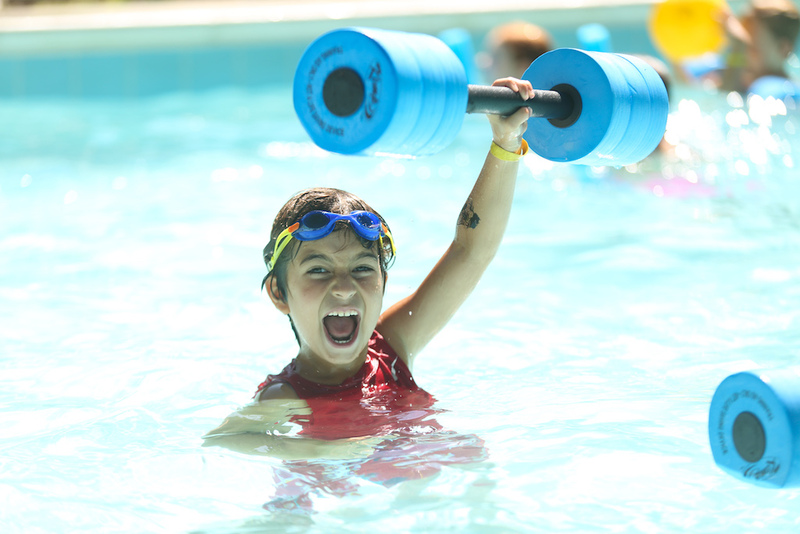 In addition, each camper will receive an individual Progress Report, completed by the Swim Director & Instructors, on a weekly basis to keep you updated on all of your child’s swim progress & accomplishments. Instructors who receive additional Red Cross training for First Aid, CPR & AED during Orientation on a yearly basis. In addition to our aquatics staff, group counselors always help to supervise and assist in swim instruction – our number one priority is the safety of our campers. Below you will find a link to our SCC Instructional Swim Program, the skills required to obtain each level, and the corresponding American Red Cross level for your reference. 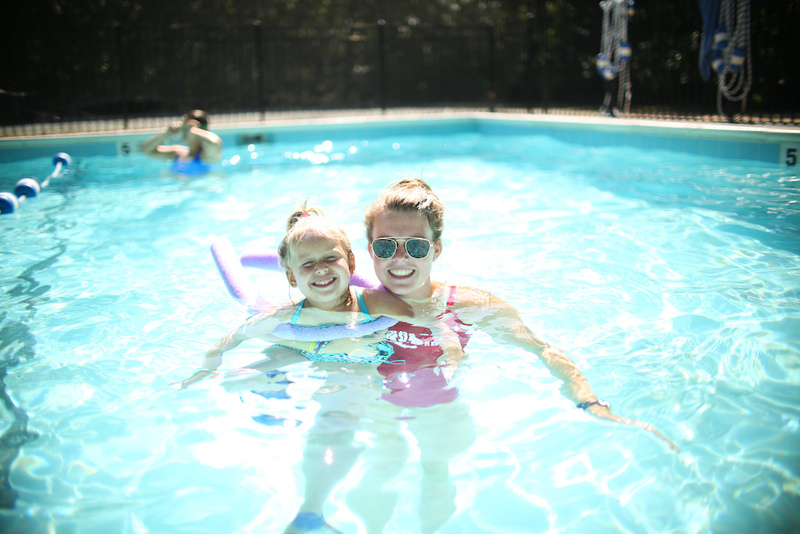 If you have any questions regarding swim at camp, or if you would like to schedule private or semi-private lessons outside of camp hours, please contact our office and we will be happy to put you in touch with our Swim Director & some of our instructors.